These are a great way to celebrate any occasion, a wedding, anniversary, concert, birthday, graduation, corporate or sports event, even a fund raiser! 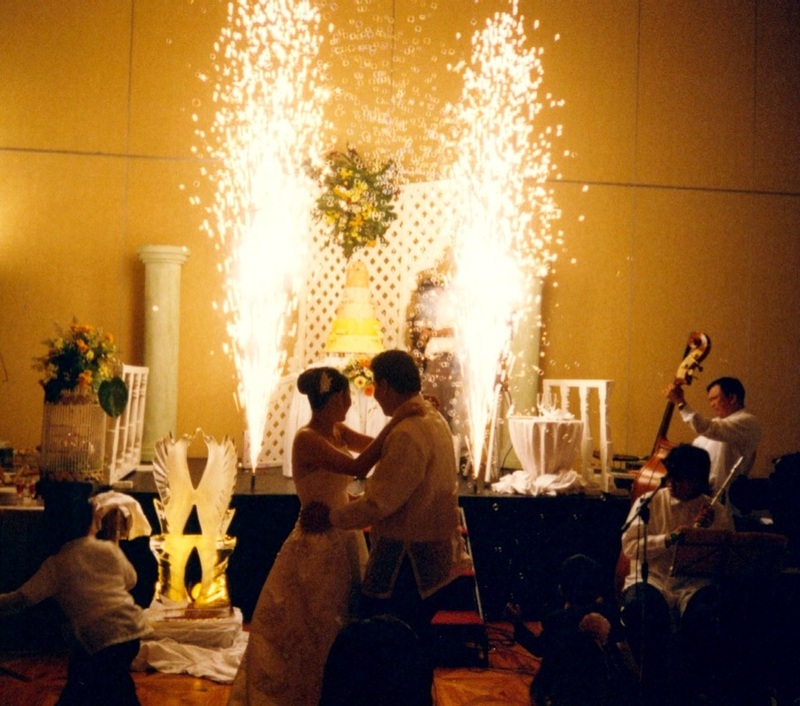 Whether you are looking for two sparkling fountains for a cake cutting ceremony, or a full-blown stage production concert, we have the experience, equipment, and products to meet your needs. At a wedding, you can dramatically increase your entrance to the reception by having a pair of fountains shooting off as you enter the room, or even in sequential pairs as you walk up the pathway to the building or to the head table. We can offer low-lying fog for your first dance, confetti for celebration moments, even snow if it fits with your theme. There is no end to how creative we can be to make your special day a memory you and your guests will talk about for years! We are familiar with most venues around the lower mainland. Let us know your date and location, and we'll take it from there. We'll work with the people on site to arrange for permits, insurance, and all the details necessary to make your event a success.